OCAD University, formerly the Ontario College of Art and Design, is a public university located in Toronto, Ontario, Canada. The school is within the Grange Park neighbourhood, and adjacent to the Art Gallery of Ontario. The school is Canada's largest and oldest educational institution for art and design. 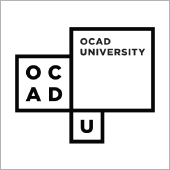 OCAD U offers courses through the Faculties of Art, Design, Liberal Arts and Sciences, and alternative programs. The enabling legislation is Ontario College of Art and Design University Act, 2002.